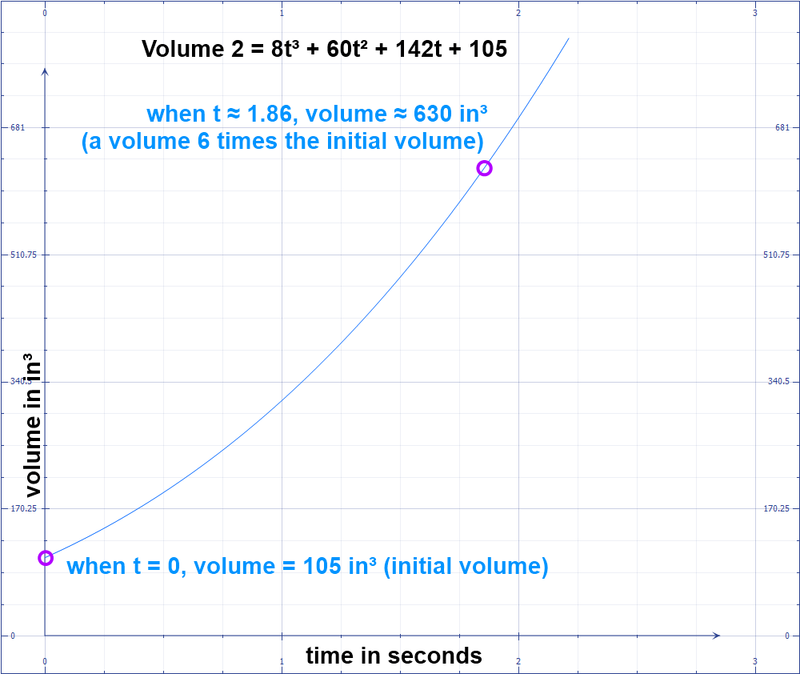 • How long will it take the volume of the following box to grow to at least 6 times its original size? 5 by 7 by 3 inches. each dimension increases at the rate of 2 in/sec. • Show the algebraic representation of the process. values directly from the graph.